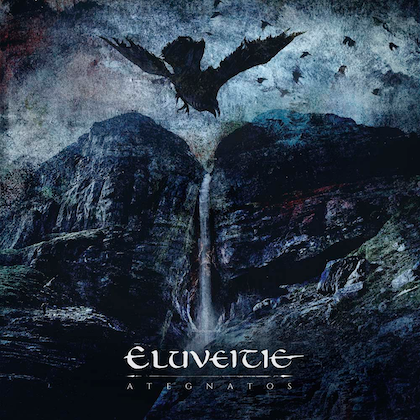 Further promoting their acclaimed current album "To Drink From The Night Itself", Swedish melodic death metal pioneers AT THE GATES have now started a massive European tour together with BEHEMOTH and WOLVES IN THE THRONE ROOM. 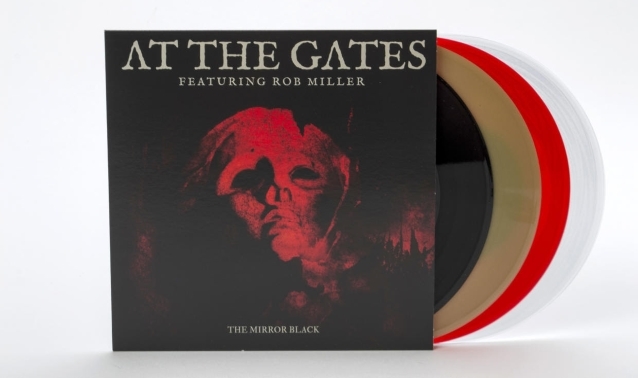 AT THE GATES has also released both a strictly limited seven-inch EP titled "The Mirror Black" and a special digital EP titled "With The Pantheons Blind" today. 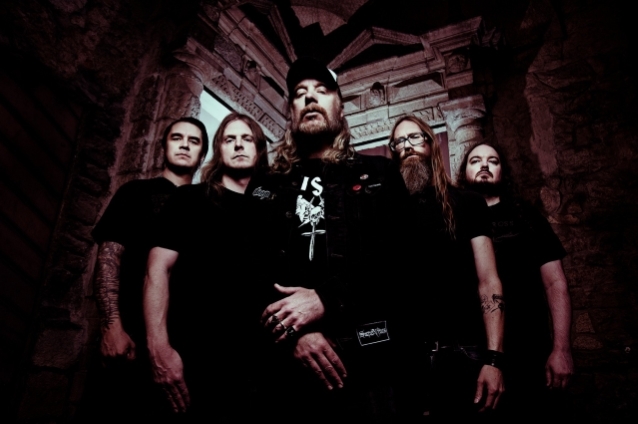 Enhancing the release of the EPs, AT THE GATES has debuted a video clip for the track "The Mirror Black" in the version featuring guest vocals by Rob Miller (AMEBIX, TAU CROSS). 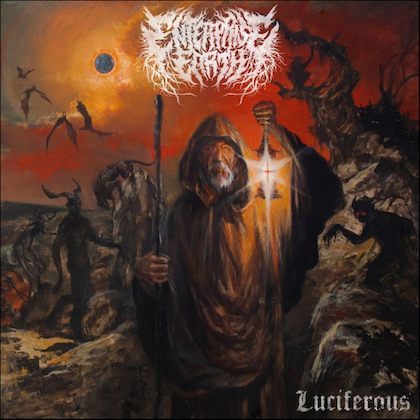 The clip was created by Twilight13Media's Costin Chioreanu, who also is also responsible for the artwork duties of the band's latest album, "To Drink From The Night Itself". The video can now be seen below. 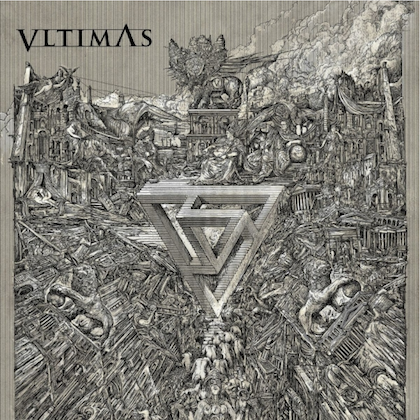 AT THE GATES vocalist Tomas Lindberg checked in with the following comment: "When we decided that we wanted to release the two Rob Miller tracks on a separate seven-inch, we felt that 'The Mirror Black' was worthy of its own video. Costin was already excited about the idea, and I explained the basic outlines of the idea of the song. Working with Costin always brings in another dimension to our music and my lyrics, so he did his own interpretation of the main theme of the song. I am super happy with the result; I really think that this is one of the best videos AT THE GATES have ever done. There are a lot of hidden meanings and other symbolism in this clip, so you can watch it many times and still find new stuff. We as a band are super excited about this release!" The new seven-inch EP features the two songs — "The Mirror Black" and "Daggers Of Black Haze" — off "To Drink From The Night Itself", in the versions that come with guest vocals by Miller. The digital EP "With The Pantheons Blind" is also being released today, containing all six bonus tracks from "To Drink From The Night Itself" recording sessions, now available digitally for the first time: "Daggers Of Black Haze" and "The Mirrow Black", featuring guest vocals by Rob Miller; "The Chasm" featuring guest vocals by Per Boder (GOD MACABRE); "A Labyrinth Of Tombs" featuring guest vocals by Mikael Nox Pettersson (CRAFT); a demo version of "The Chasm" and a merciless re-recorded version of the early AT THE GATES classic "Raped By The Light Of Christ", originally featured on the band's sophomore album "With Fear I Kiss The Burning Darkness" from 1993.